Your home may or may not look like a castle. Whatever the case, that old saying is true: your home is your most valuable and expensive asset and should be protected. 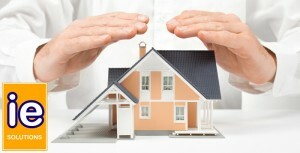 Home Insurance offers financial and liability protection of your home and possessions. You need Home Insurance to cover the structure of your house or condo, your personal belongings, the cost of living expenses in case your home gets damaged and you have to move to some other place for the repair works period. It also covers liability claims that result from property loss and injury caused to other people. Purchasing enough Home Insurance provides sufficient coverage necessary in the event of a total loss of your house and its contents due to disasters. It is also important that you are insured in case someone gets injured on your premises and sues you, or in case you or your family members cause damage to other people’s property. Some policies also include damage caused by household pets. Homes should be insured for 100% of its value so that in the insured event your insurance company will pay you the exact amount your house costs to rebuild it. If you don’t have enough Home Insurance, you will be paid only some portion of your house’s values, which may be insufficient for replacing or repairing lost or damaged property. For any study or personalized Condo or Home Insurance quote, kindly click to the link “ free quote” we will reply by email within 24 hours.